At 17 years old Andrew Ramroop left his family home and travelled on his own across the Atlantic Ocean with a dream to make it as a Master Tailor on Savile Row. With determination, talent and the support of a few others who gave him a chance, his dream of becoming a Master Tailor on the Row came true. In 2008 HRH Queen Elizabeth II recognised his services to Tailoring awarding him an OBE. Having seen that the support of even just a few people can make a tremendous difference to young people who are starting out, Andrew has gone on to bring the investment of young people with talent and drive into the heart of the Maurice Sedwell business; from setting up the Savile Row Academy where we are able to share our Ultra Bespoke™ expertise with people entering our industry; to supporting a young work force who our experienced craftsmen pass on their skills too; and this year appointing the youngest Director on Savile Row. We are proud to announce our support of another young person, Riccardo Drayton, junior snooker star and Maurice Sedwell ambassador. Riccardo, at 12 years old, is one of the UK’s most talented snooker players, having competed in the 2018 English Amateur Snooker and Billiards Under 14 Championship. At Maurice Sedwell our moto is “Committed to Excellence” and it is Riccardo’s drive and commitment to nothing less than excellence in his game that makes him a natural embodiment of Maurice Sedwell. We are proud to announce Riccardo Drayton as our junior ambassador. 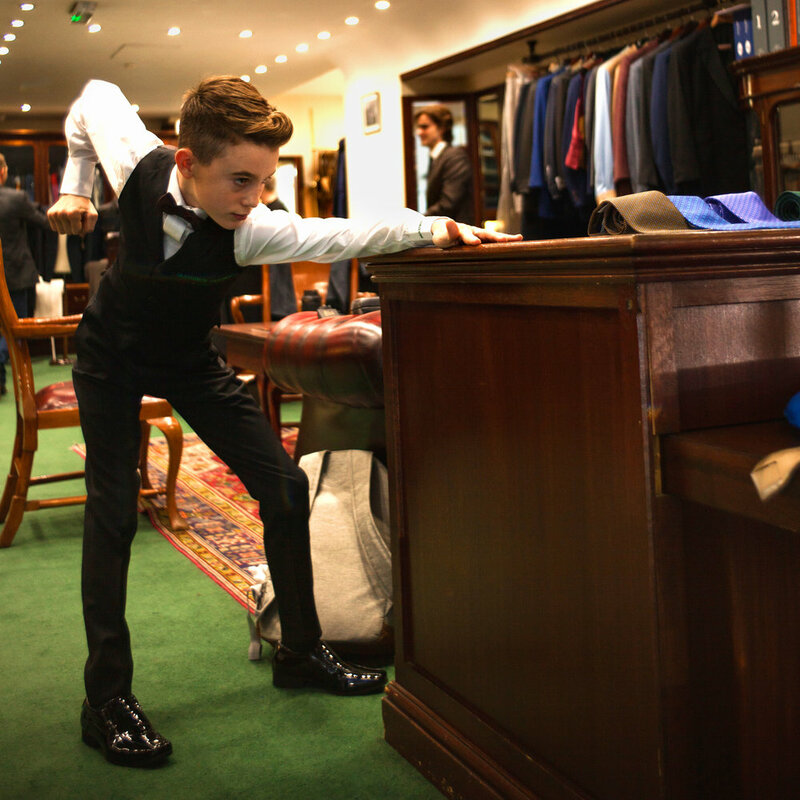 View our image gallery below of Maurice Sedwell’s Director, Daniel Haworth, carrying out Riccardo's final fitting in our store. Andrew Ramroop OBE with Riccardo ahead of his final fitting. “Regardless of age, if you care about how you present yourself, you care about what you are offering others whether that be in business, sport or any other field. Riccardo takes his training and sport very seriously and clearly means business. It is for this reason that we would like to see him dressed in the very best, in Maurice Sedwell Ultra Bespoke™,” Andrew Ramroop OBE. “As I stood in-front of the Maurice Sedwell mirror, looking at my reflection, I felt very special. I thought about all the successful and interesting people who have stood where I have been tailored. “This has made me very determined to be the best Ambassador for Maurice Sedwell and to be the best Snooker Player that I can possibly be. As we all know, grow Mighty Oak Trees,” Riccardo Drayton. Thanks also go out to Silvio Fiorello for supplying Riccardo’s ties and bow ties. Here at Maurice Sedwell, we wish Riccardo the very best for the coming season!